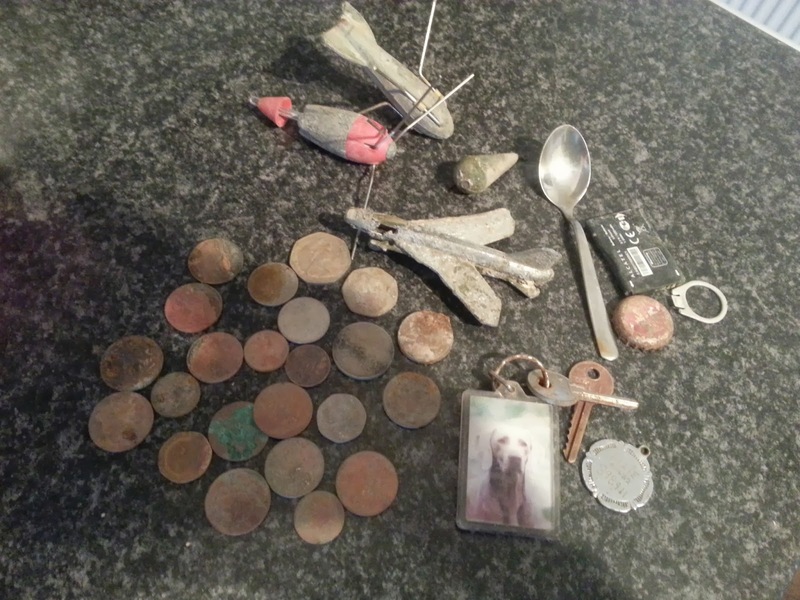 Andy's treasure hunting cafe and metal detecting blog: Finally got out detecting. Well I managed to squeeze in a couple of hours today at my favourite foreshore under the Humber bridge. It was horrible weather with the wind blasting straight off the cold river. The settings used on my teknetics eurotek pro were sensitivity 7, zero discrimination but iron audio 10 . I focused on the area under the bridge due to it being full of modern coinage tossed over the bridge and the chance of gold and silver rings from relationship breakdowns. Plenty of digging to keep me warm. the finds were all modern with loads of small change. I also managed to find a couple of older style 10p and 50p coins and also a 1960 1 franc. Other finds were too door keys and dog tags, a few bits of rubbish cleaned off the foreshore . My personal favourite find wad the matchbox fighter jet. Under the wing its stamped with a date of 1977. 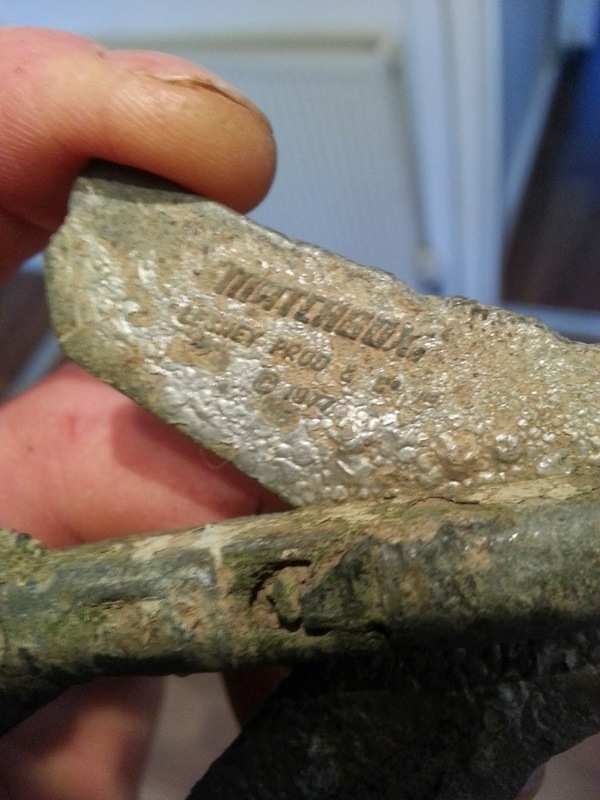 A shame its in the condition it is but I suppose that happens when something has been in the Humber for possibly over 35 years. It was nice to be out for the first In months.